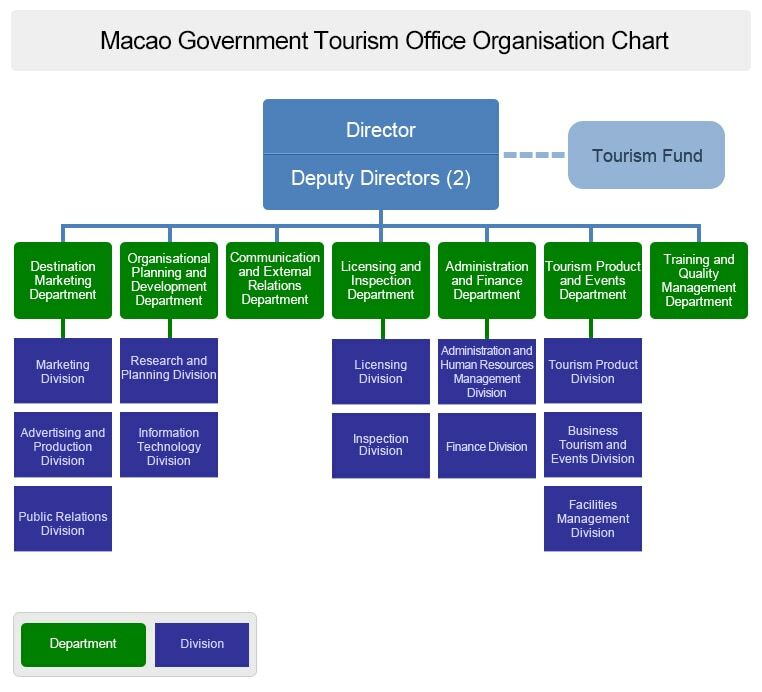 In accordance with Macao Special Administrative Region (Macao SAR) Government’s strategy of positioning and developing Macao as a World Centre of Tourism and Leisure, Macao Government Tourism Office (MGTO) serves as the public entity responsible for implementing, analyzing and assisting in formulating the tourism policies of the Macao SAR to enhance Macao’s reputation as a quality destination. Together with local trade, MGTO promotes Macao’s tourism products and services not only in the leading and emerging tourism markets but also evaluates and seeks to develop potential markets to attract diverse visitor sources for Macao. To achieve this effectively, there are 12 MGTO Representatives and 3 MSAR Delegations around the world that tailor make promotion schemes and activities for each market’s needs. The Office works hard to strengthen its connections with overseas travel trade as well as regional and international tourism organizations to achieve Macao tourism development. Locally, MGTO plays an important role in fostering the improvement and diversification of tourism products as well as promoting, coordinating or facilitating a variety of tourism projects and mega events. As the supervising entity for the Macao tourism industry, MGTO ensures the sector’s operations are under legal framework by licensing and inspecting the establishments, venues and activities to ensure quality and integrity for the tourism industry. The Office also persists in setting up quality standards and fostering training opportunities for local sectors especially in hospitality, catering and business tourism areas through collaboration with training institutes and tourism entities so as to upgrade service quality and ensure sustainable improvement.